The use of Christmas tree ornaments varies from family to family and person to person as everyone has their own way of decorating the Christmas tree. It has been a tradition of using Christmas tree ornaments for the purpose of decorating the tree in an unique and special way for centuries. Christmas tree ornaments come in different sizes, shapes and designs. When it comes to ornaments for Christmas trees, some people just like using simple shapes with simple designs whereas some seek for artistic touch to every ornament. Christmas tree ornaments can be made out of glass, hand blown glass, wood, metal, ceramics or even dried fruits and pieces of fabric that can be used year after year as a tradition of the family. 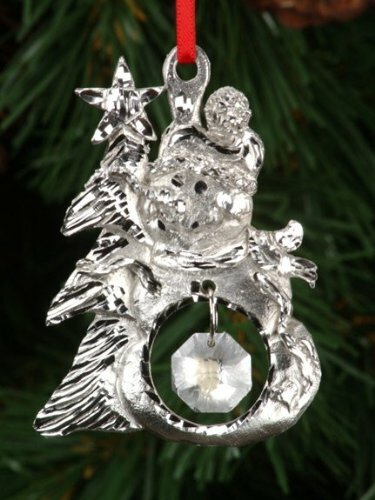 Initially all Christmas tree ornaments were used to be handmade by the family members themselves. Crafting Christmas tree ornaments was part of the tradition among families during the holiday season and scraps of cloth, glass, wood, paper, etc. were used for such a purpose. With the increasing popularity of ornaments especially designed for Christmas trees, some artists started selling their handmade creations and, with this a whole new type of business started taking place everywhere. Let's take an eye on the different types of Christmas tree ornaments available on the market. When it comes to old fashioned and traditional ornaments to hang on the Christmas tree, the range of potential decorating items to choose is quite large. 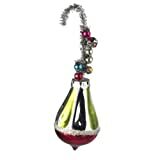 Glass ornaments remain the most popular of all the embellishment items sold in stores. However, people still garnish their tree using colored garlands made out of different materials, bells made out of metal or glass and candles so as to create a whole old fashioned Christmas tree theme. The beauty of more modern times is that they allow you to use tree candles that are battery operated so that you don't have to worry about the risks. Baubles used to be the most popular of all tree ornaments. They came in different shapes and sizes. Glass baubles gave birth to the newest category of ornaments used for decorating the fir tree during the 1880’s. Germans were considered to be the masters of glass baubles and were the biggest manufacturers of their times. Wooden and metal ornaments for Christmas trees give a rich look to trees and, in the past, they were the second most favorite ornaments after baubles. 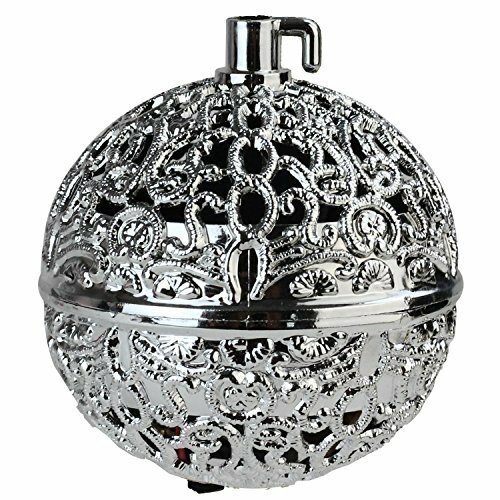 One can find a wide range of different ornaments made out of metal. They are also available in any shape. The types of metals used range from iron to aluminium and to silver. In some stores, one can find gold plated Christmas tree ornaments and some even allow for personalization. 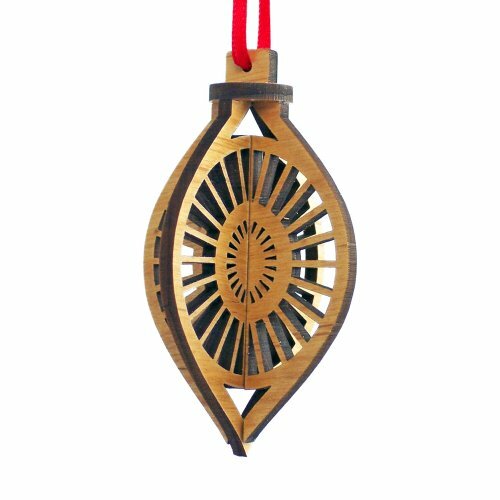 While metal ornaments provide your tree with a very sophisticated and classy look, wooden ornaments add charm and warmth to the whole appearence of your tree. Wooden tree ornaments can also be purchased in many different forms, such as balls, animals, characters, etc. Celebrities, animated and cartoon decorations are the newest type of Christmas tree ornaments and are absolutely loved by everyone. Should a big cinema brand release a new movie or popular series, you will find related items in stores quite quickly. 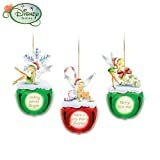 For example, fairy Disney themed decorations are among the best selling cartoon themed tree ornaments during the holiday season. Such themed ornaments are inspired by most of the Disney characters: Snow White, Cinderella, Tinker Bell, Cars, Frozen and many more. 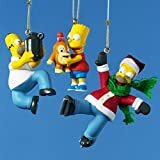 Other cartoon themed tree ornaments will include humorous cartoons such as The Simpsons, Looney Tunes, Sponge Bob Square Pants, Scooby Doo, The Griswold Family, etc. and are also greatly appreciated by the public. As for celebrities decorations for Christmas trees, they will include actors, singers like Elvis Presley, the Beatles, etc. 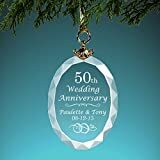 Another type of highly popular Christmas tree ornaments are decorating items that can be customized with the name of each member of the family, or parents' wedding date, their first wedding anniversary, and much more. That kind of Christmas tree ornaments can even be given to near and dear ones as birthday or holiday gift if you wish. I will conclude this series about the types of embellishments for Christmas trees with the toppers. 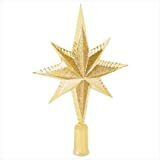 Christmas tree toppers are ornaments that can be found in less different shapes as other decorations. Though you may be seduced with the existing ones: stars, angels, representations of Santa Claus or vintage Father Christmas, or dolls. These are generally produced with materials such as plastic, fabric and even more sophisticated materials. 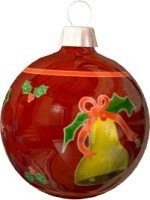 Finial toppers are also listed in this category of Christmas tree ornaments. Finial toppers are generally made out of hand blown glass or plastic, are nicely decorated and come in different designs and styles: retro, victorian, vintage, art & deco or different shapes such as Santa Claus, snowman or nutcracker character. 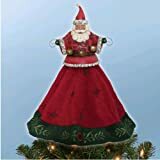 Electrified and animated Christmas tree toppers can also be used to enhance the overall look of the Christmas tree and are greatly appreciated among families. I do love Santa Claus ornaments. Each face has a story to tell! My tree decorations include some of all of these styles. Almost every ornament has a story behind it or a memory attached to the giver. And my tree topper angel has such sentimental value, that I doubt I will ever replace her. Now I would like to add that Royal Albert Old Country Roses to my collection!